The Center for Business & Innovation (CB&I) is a catalyst for creating and growing high-value, high-wage private sector companies. Starting a business or considering it? We provide advising, coaching, training & full educational programming for people starting a business. Get help with quick answers or full support through planning and launching your business. Do you need help with a new business (less than two years)? We provide advising, coaching, training, and full educational programming for new businesses to strengthen and grow. Do you need help with an established business? We can help advance your success in growing and strengthening your established business. 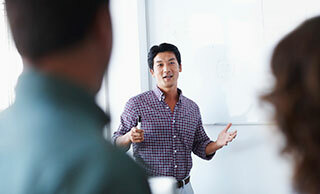 Does your company have training or workforce needs? Whether for yourself or your employees, we offer a variety of training sessions to meet the needs of your company and employees. Have you developed a new product you want to commercialize? We can provide advising and referral to help you bring a new product or service concept to market. Not sure where to start? You can talk with someone to determine what CB&I program best meets your needs. 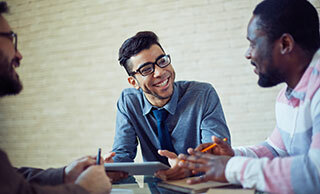 A CB&I staff person can help connect you to the program that's best for you. 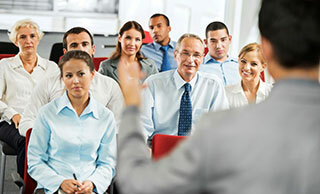 Corporate & Continuing Education offers additional classes, customized training and consulting year-round. Click here to learn more.